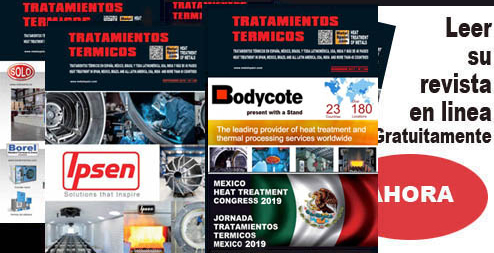 Second-hand Heat Treatment Furnaces are published free of charge in the Heat Treatment magazine TRATAMIENTOS TERMICOS. To be present, just send the description with your contact name. If you do not want your name to appear, we can place a REFERENCE with a number. 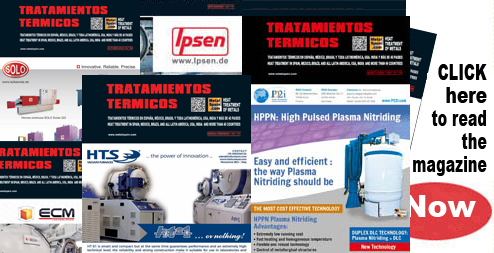 NO COMMISSION, we are a magazine, not a dealer selling second-hand or new furnaces. 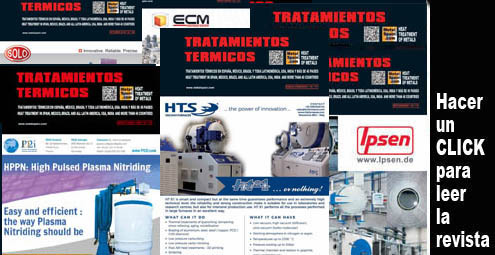 Se publican gratuitamente anuncios de hornos de tratamientos térmicos de SEGUNDA MANO en la revista TRATAMIENTOS TERMICOS http://metalspain.com/Tratamientos-termicos.html y en esta web. Es un servicio gratuito. No cobramos comisión, no somos intermediarios. 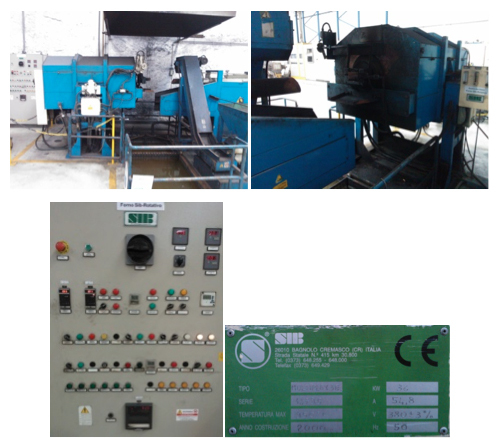 Purpose: quenching, annealing, tempering, sintering, brazing etc for various metal parts ,tools and machine parts. 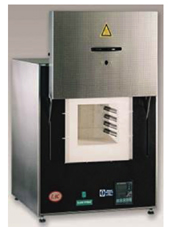 Operational temperature range : 400 to 1250. 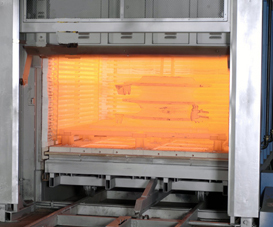 Temperature uniformity can be guaranteed at 1150ºC with accuracy of ±5ºC. 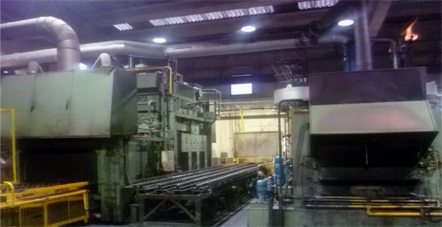 High Heat Effciency Metal(Mo) is adopted. - Bach Furnace mod. 4000 BH hibride. - Model hot rect 6,000 FPT BH. - Year manuf. Since 2016. - Dimensions H 8.6 fee, W 9.9 fee, 2.13.20. 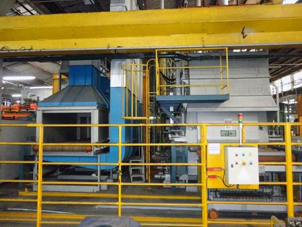 - Weight of furnace 600 kg. 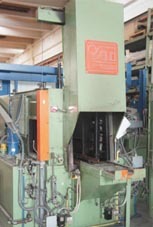 - Weight of roll out 1,200 kg. - Loading max, 9,600 kg for day. - Max temperature 50-600 °C. - Temperature measurement for termocuples tipe iron plated. - Woltage 120 W – 220 W.
- Cuanty Heating Element Burner, 4 the natural gas or prophane gas electric. - Turbine rotary temperature mixied and recobery (1) mod. 40. - Ensamble motor 7.5 HP 3 phaces charger 220 wolts plenum. - Apliances for furnace polimerrade paint woods deshidrated iron flash off staing catalization membranes tratamient template stell. - Inf. 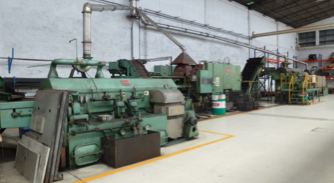 For sales Justino Santillán Corporated World Company Rep.
- More chant 1,500 furnaces. O Forno passou por todos os testes de try-out e trabalhou ao todo 3 meses . E hoje se encontra parado , muito bem conservado, como podem ver nas fotos que me enviaram, e estão em anexo. Este Forno FSR-E-880, novo (fabricado pela REX), hoje tem um valor FOB de: R$ 6.210.000,00 reais ; sem nenhuma utilidade, isto é, sem : Interligações ( Mat. e MO ) de Cabos, gases, agua, vapor e etc . A Empresa GRUPO VOGES , deseja vender o forno completo por R$ 4.500.000,00 reais, e pode existir negociação comercial e possível parcelamento . Uma torre de resfriamento ? Uma caldeira de vapor ? Grelhas e dispositivos para as cargas ? Nota: Devemos rever bem, estes custos acima. 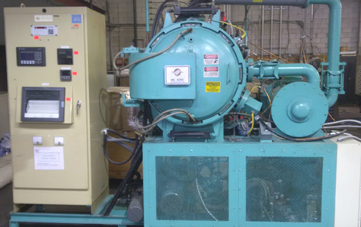 Complete Can Eng mesh belt furnace line capable of 1,000 pounds per hour. 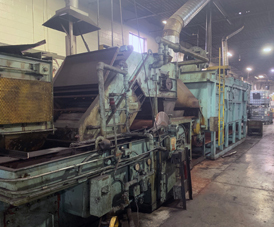 Automated loading system, pre wash, gas fired high heat with an operating temperature of 1700F, 44” wide belt, oil quench, post wash, and 1200F mesh belt temper furnace. SSI AC 20 carbon controllers, SSI probes and complete SCADA system. Built in 1997. Complete, installed and currently in production. Line must be removed by mid February 2019. Good condition. Asking is $25,000 USD. Located in Ontario, Canada. 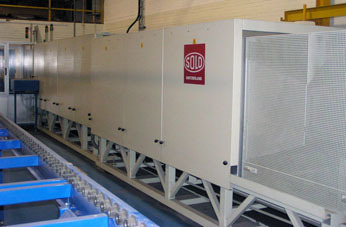 Potencia de calentamiento: 150 kW. 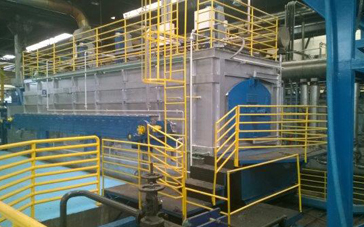 SOLO conveyor belt furnace 322.1-10/80. Built by Solo of Switzerland this is a SOLO 322-1-10/80 model. 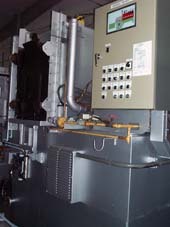 This furnace was manufactured in 1997. 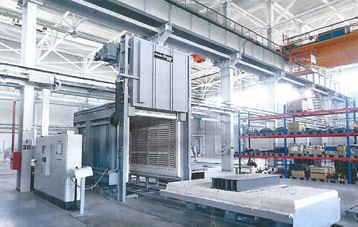 Composition: Loading frame, heating part with frame, cooling part with frame, unloading frame, driving system, conveyor belt, NH3 cracker, distribution for treatment and cabinet gas, operator panel. 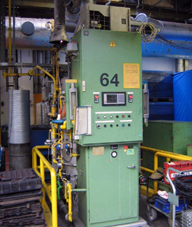 Dedicated for Brazing – Annealing – Tempering - Overhardening. Max. temperature of 1150 °C. Canal useful height: 40 mm. Band width: 100 mm. 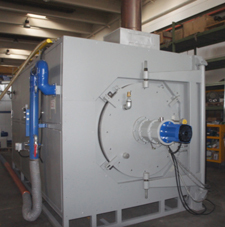 Heated furnace length: 800 m. Main voltage: 3 x 230V, power input: 12 kW. Possibility of mounting and commissioning by the manufacturer (SOLO). Located in France. In working conditions before dismounting. Original manuals included. PRIX 100000 € HT départ…c’est assez exceptionnel !! 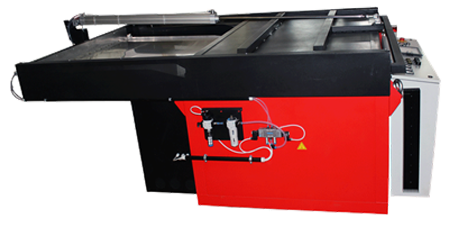 The patented installation with load transfer from furnace to quench tank by sliding! 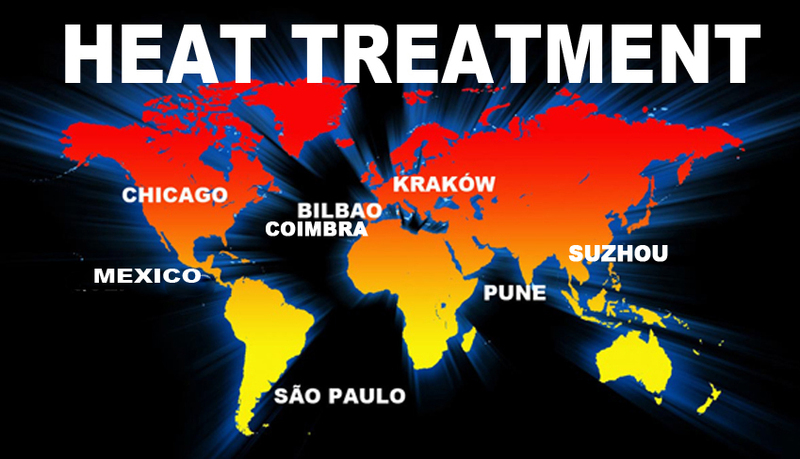 KD INTERNATIONAL - ThermoConsult Latina Ltda. 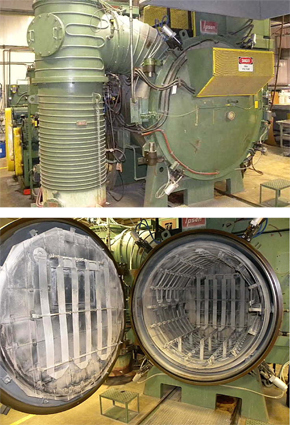 This furnace came out of a Caterpillar Plant that was shut down. They always did all recommended service on their equipment. Furnace was operational until shut down on 11/30/17 when plant closed. 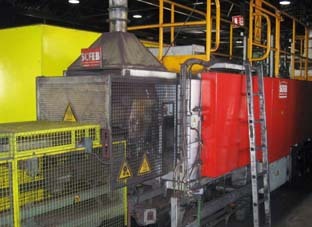 SOLO conveyor belt furnace 322.1-10/80. Built by Solo of Switzerland this is a SOLO 322-1-10/80 model. 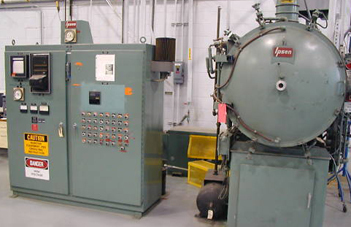 This furnace was manufactured in 1991. Composition: Loading frame, heating part with frame, cooling part with frame, unloading frame, driving system, conveyor belt, NH3 cracker, distribution for treatment and cabinet gas, operator panel. 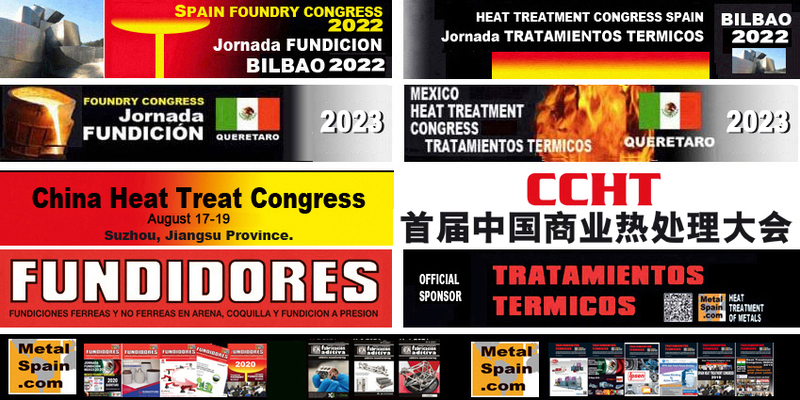 Dedicated for Brazing – Annealing – Tempering - Stress relief – Quenching. Max. temperature of 1150 °C. 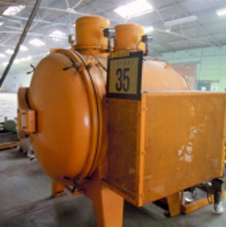 Heated furnace length: 1000 mm, canal useful height: 50 mm, band width:10 cm, overall dimensions: length 5m32 / height 1m60 / width 91 cm. · The water in the internal cooling circuit of the inverter - demineralized water at pH = 7 -8.5 and a conductivity of 0.5 mS up. À l'origine, il était utilisé pour sécher des composants collés ou mis en forme dans la production de matières plastiques. 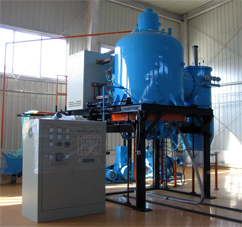 Type: Vacuum and controlled atmosphere. Quality: NOT working, it is completed but need new or rebuilt the heat box. Currentlly it is dissaseambled and in a dry room storage. Quality: NOT working for parts or rebuild. Cost: $ 10,000 dlls or best offer. Cost: $ 15,000 dlls or best offer. The furnace is in working condition , well maintained. 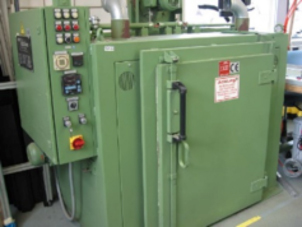 Compact belt furnace 321-7-90 6677 1000°C. Built by Solo of Switzerland this is a SOLO 321-7-90 model. 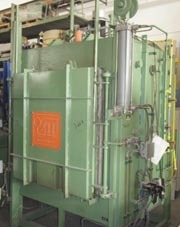 This furnace was manufactured in 1990. 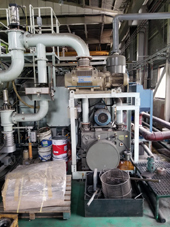 Composition: Loading frame, heating part with frame, cooling part with frame, unloading frame, driving system, conveyor belt, NH3 cracker 3m3/h, distribution for treatment and cabinet gas, operator panel. 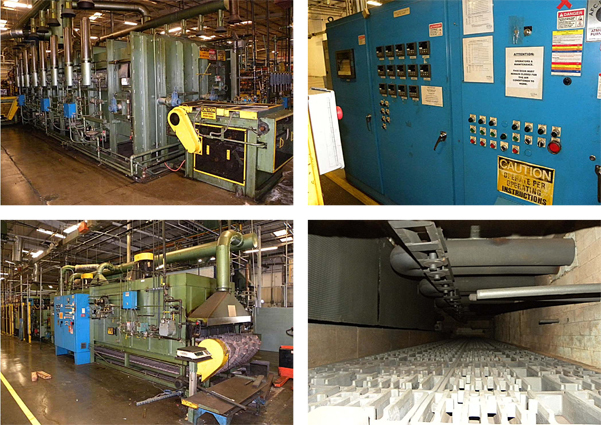 Dedicated for annealing under cracked ammonia, brazing and hardening. Max. temperature of 1000 °C Heated length: 900 mm, cooled length: 1500 mm, channel section: 80 x 40 mm, Main voltage: 3 x 380 V - 50 Hz / TN, power input: 10,5 kW, gas generated: 75% H2 and 25% N2 (NH3), effective height with belt: 30 mm, conveyor belt width: 70 mm, external dimensions: L 5300 mm x l 800 mm x H 1250 mm. Possibility of mounting and commissioning by the manufacturer (SOLO). Located in France. Perfect condition. All manuals included. Price on request corporate@copatech.eu. 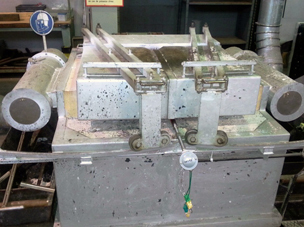 Quenching machine SOLO 209-30/30 6981 – 1150 °C. Built by Solo of Switzerland this is a SOLO 209-30/30 model. 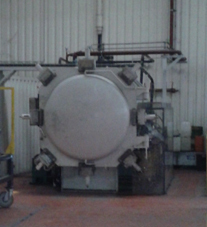 This furnace was manufactured in 1991.Quenching machine for self-hardening and oil quenching. 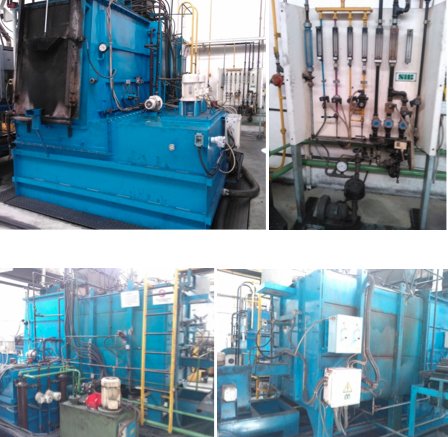 Composition: quenching Bell Furnace, nitrogen quenching unit, tempering furnace, oil quenching unit, controller / programmer, operator panel, temperature controller, hydraulic control. 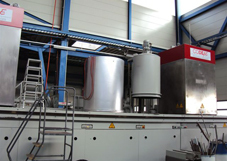 Dedicated for austenitizing, annealing, tempering, oil quenching, quenching under nitrogen. Max. temperature: 1150°C. Main voltage: 3 x 400 V - 50 Hz. Power input: 10 kW. 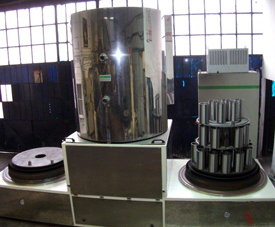 Effective load dimensions: Diameter 300 mm*Height 300 mm. Max. loading weight: 20 kg. Protective gas: N2 or mixture N2 to max. 5 % H2. 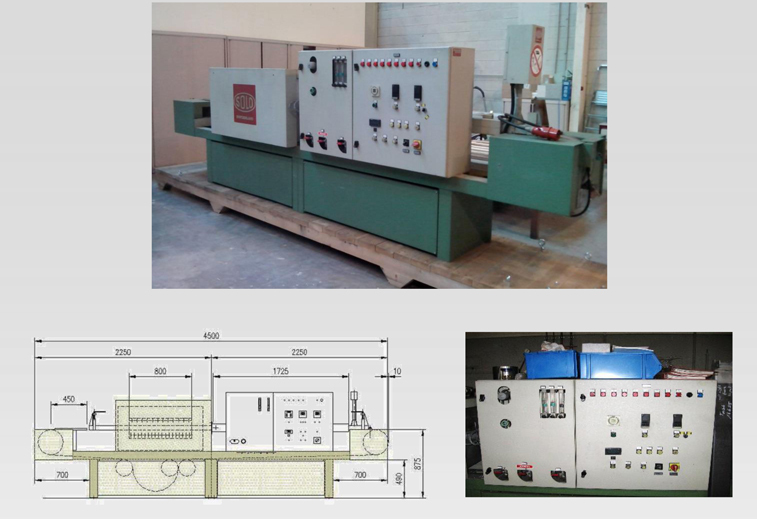 Overall dimensions: Height 2200mm, width 2070mm, depth 2250m. 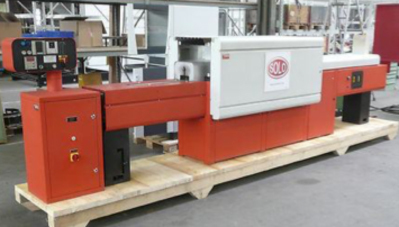 Possibility of mounting and commissioning by the manufacturer (SOLO). Located in France. Good condition. All manuals included. 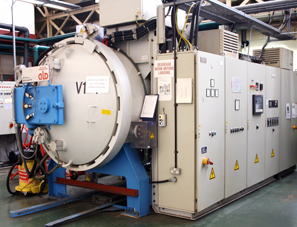 ELNIK SYSTEMS MODEL IN-250 High Vacuum Furnace used for large Titanium Aircraft parts. 152 Cu.Feet in the Working Zone. Max. Temp. : 1500 deg F.
L’ensemble du matériel sera disponible cet été. 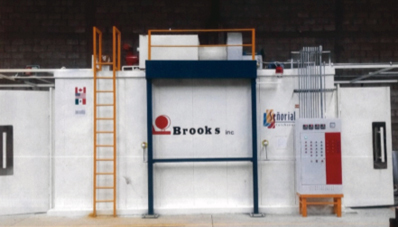 Treatments: Cementation, Carbonitriding, Temple, Annealing ..
Dimensions of the load: 1,600 x 1,400 x 600 mm. 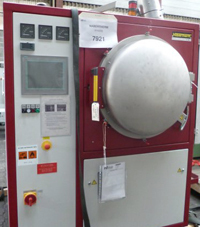 Drying Oven REINHARDT 8718 - 300 °C. Built by REINHARDT in 1995. 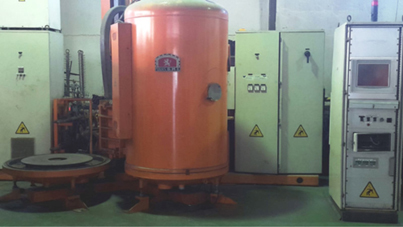 Technical data: Type LTV 100/300-S - Main voltage: 3 x 400 V - 50Hz - Heating: electric - Temperature range: 50 to 300°C - Nominal temperature: 300°C - Useful volume: 0,65 m3 - Heating power: 19,2 kW - Engine power: 0,59 kW - Oven tray dimensions: 70 cm x 80 cm. Located in France. Price on request. 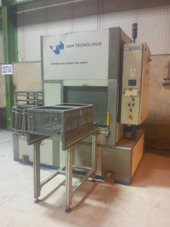 Quenching machine SOLO 209-30/30 6981 – 1150 °C. Built by Solo of Switzerland this is a SOLO 209-30/30 model. 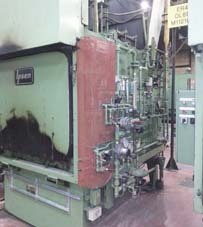 This furnace was manufactured in 1991. 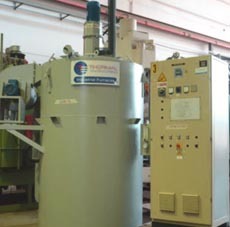 Quenching machine for self-hardening and oil quenching. 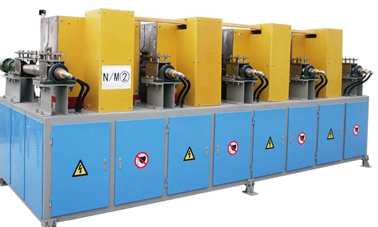 Composition: quenching Bell Furnace, nitrogen quenching unit, tempering furnace, oil quenching unit, controller / programmer, operator panel, temperature controller, hydraulic control. 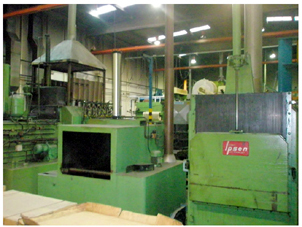 Dedicated for austenitizing, annealing, tempering, oil quenching, quenching under nitrogen. Max. temperature: 1150°C. Main voltage: 3 x 400 V - 50 Hz. Power input: 10 kW. 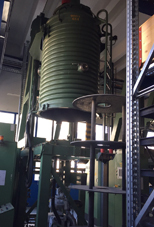 Effective load dimensions: Diameter 300 mm*Height 300 mm. Max. loading weight: 20 kg. Protective gas: N2 or mixture N2 to max. 5 % H2. 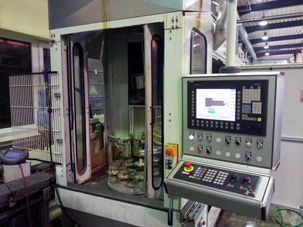 Overall dimensions: Height 2200mm, width 2070mm, depth 2250m. Possibility of mounting and commissioning by the manufacturer (SOLO). Located in France. Good condition. All manuals included. Price on request. 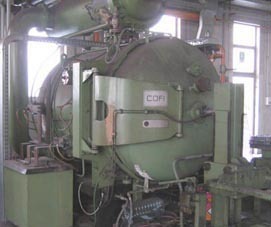 Compact belt furnace 321-7-90 6677 1000°C. Built by Solo of Switzerland this is a SOLO 321-7-90 model. 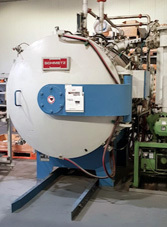 This furnace was manufactured in 1990. Composition: Loading frame, heating part with frame, cooling part with frame, unloading frame, driving system, conveyor belt, NH3 cracker 3m3/h, distribution for treatment and cabinet gas, operator panel. 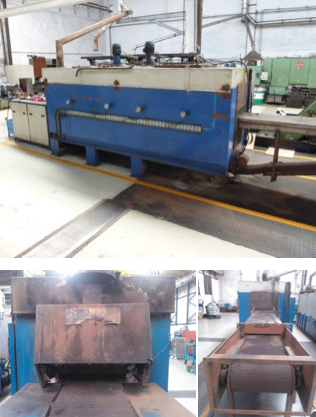 Dedicated for annealing under cracked ammonia, brazing and hardening. Max. temperature of 1000 °C Heated length: 900 mm, cooled length: 1500 mm, channel section: 80 x 40 mm, Main voltage: 3 x 380 V - 50 Hz / TN, power input: 10,5 kW, gas generated: 75% H2 and 25% N2 (NH3), effective height with belt: 30 mm, conveyor belt width: 70 mm, external dimensions: L 5300 mm x l 800 mm x H 1250 mm. Possibility of mounting and commissioning by the manufacturer (SOLO). Located in France. Perfect condition. All manuals included. Price on request. Please call or email for pricing. Email: mail@copatech.eu – T: 0033 3 81 91 83 17. 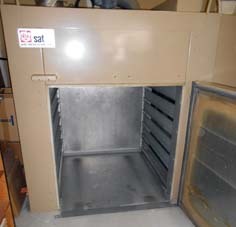 New furnace, fully functional, used as a trade fair exhibit. 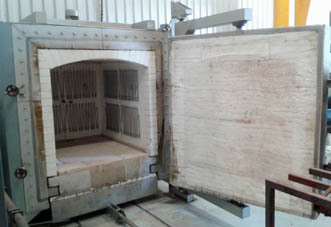 Chamber furnaces with forced circulation of the internal atmosphere are used for all types of heat treatment (tempering, artificial ageing, preheating, hot connecting, batch testing, drying, etc.) under normal atmosphere and in which very precise temperature distribution and dynamic progress of temperature curve are required. Speed of belt : 12 - 240 Min. Speed of belt : 30 - 180 Min. Voltage : 220 V/50 Hz. Electr. Motors : 3x 380 V/50 Hz. 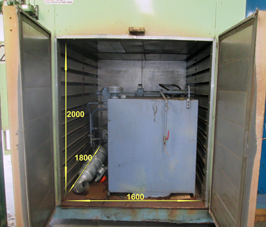 Pusher Style – 1850° F.
The furnace line is in good condition, as you see from the photos. Descripción: Horno de doble cámara con calentamiento y temple en aceite. Posibilidad de temple por gas forzado. 2 hornos disponibles, muy buen estado. TECNICAS EN HORNOS HOT S.L. Tiempo aproximado de calentamiento a 550°C de 30 minutos. Funcionamiento: A gas con 4 quemadores con tubo radiante auto recuperativos Rekumat. Tiempo del ciclo aproximado de 50 segundos. 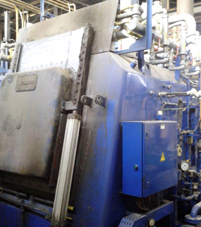 The two high temperature furnaces are electrically heated, and both feature colour 19” colour touchscreens, with the latest Windows based control systems. 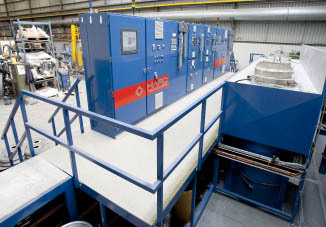 All gas flows are computer controlled through electronic flowmeters providing full process control. 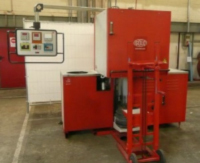 The preheat furnace is also electrically heated and has process gas flows controlled manually and is fitted with a simple set point temperature controller. Power supply 415V / 3 phase / 50hz. 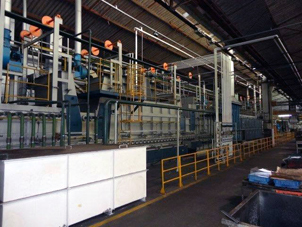 The fluidised bed furnace line was manufactured by Applied Heat Technologies in Australia in 2010, and was only used for 3 years. 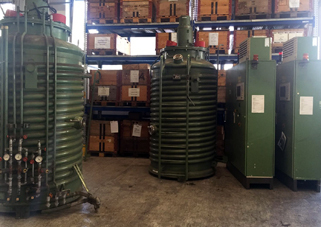 For the last two years it has not been used, and it is currently in storage in our factory, Melbourne, Australia. All equipment is in excellent condition. 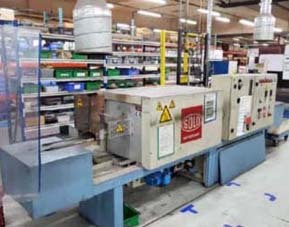 Prior to sale, the equipment will be fully tested to ensure it is operational, and any faulty parts will be replaced, and a warranty will be offered. 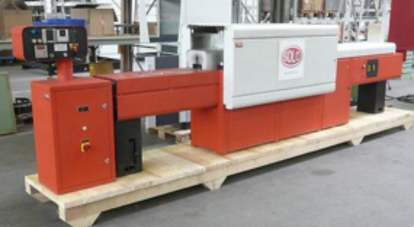 The equipment can be packed into containers for delivery anywhere in the world. Assistance with shipping, installation, commissioning and conversion to an alternate power supply available if required. 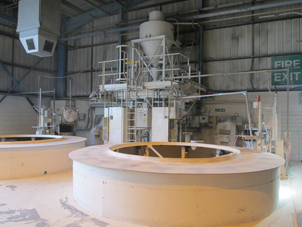 Fluidised bed furnace line is suitable for hardening & tempering, normalising, annealing, stress relieving, nitriding and nitrocarburising. 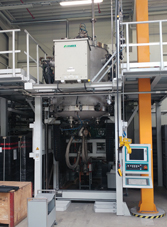 It would be ideal for the heat treatment of extrusion tooling, for both hardening & tempering as well as nitriding and nitrocarburising. MACHINE CAPACITY -- .1230 DEGREE.MAX. 2` x 3` x 2`LOAD . - Peso de carga máxima: 1.500 Kg. 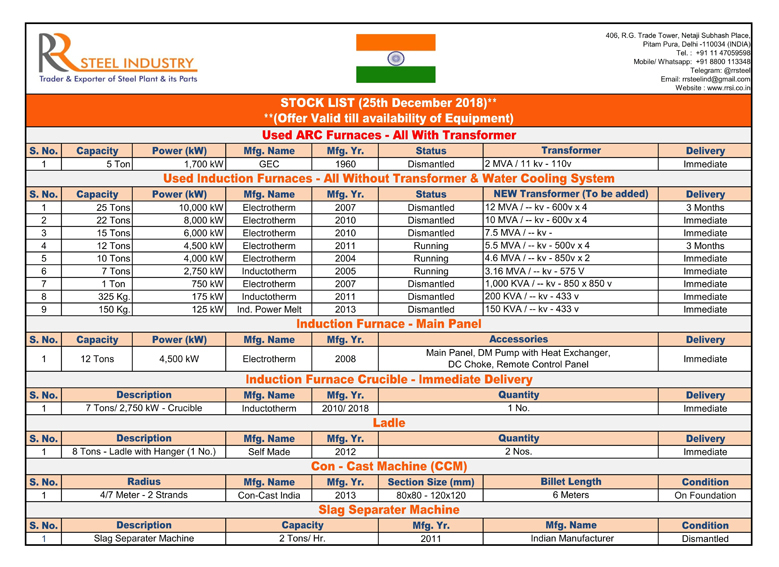 Please confirm price CIF (Nava Sheva) Mumbai, India. & other terms & conditions. Vendu avec système de refroidissement, transfo etc. Click on Below link for more details. 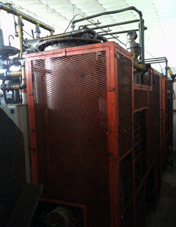 Cooling water pumps DM water Unit. Statut : Machine révisée complètement avec changement de pièces d'usure + garantie de 3 mois . 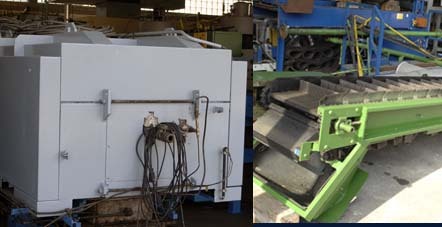 DREVER LIFT-OFF FURNACES AVAILABLE in Ohio, USA- see attached spec sheet and photo sheet. 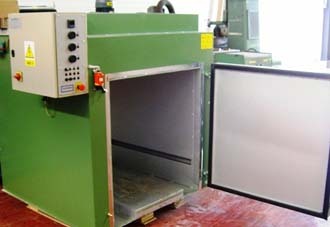 We have 2 of these furnaces (identical units) available. Our engineers with an Aichelin technician disassembled this line and we shipped it to Italy. 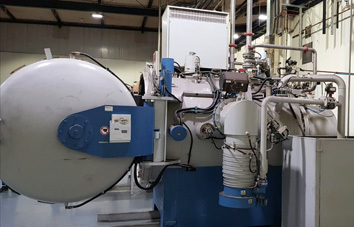 One year later receive this furnace we bought from an Italian liquidator additional 2 Aichelin furnaces, 2 Tons hour, in Avellino (Italy) when a company of LANGE’ group, Bulloneria Meridionale, went bankrupt. 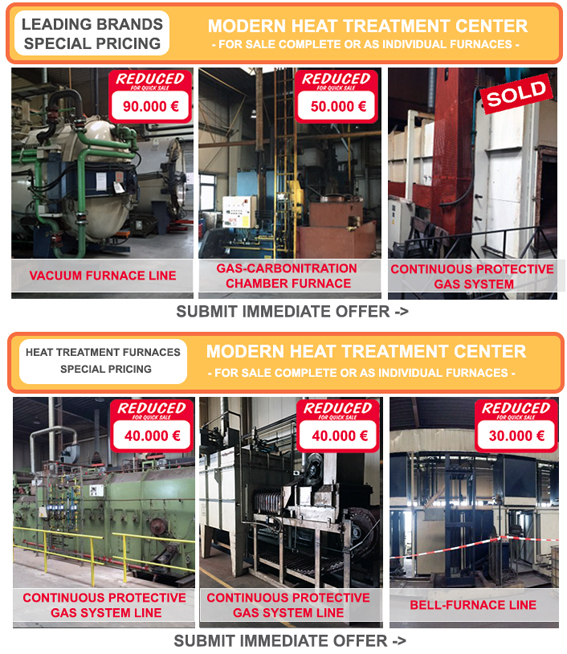 We have completely revised these last 2 Aichelin furnaces, and today we are in the condition to sell our US Aichelin furnace mainly because we have already enough heat treatment capacity (13 heat treatment lines). We prepared a complete report for your reference where you’ll find the main furnace data and several pictures. 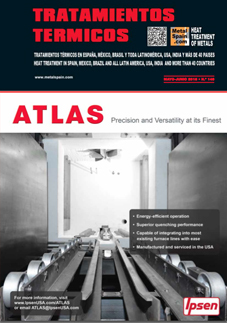 We are also sending you hereby attached the general lay-out at Vermont fasteners. 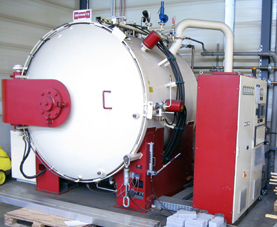 Regarding the original Aichelin price in 2001, we can tell you that we also bought one furnace 2 Tons hour from Aichelin in the same year with a similar configuration and the complete line costed us 3.1 Mil €; therefore, based on this consideration, the price for our furnace is 1.9 Mil € with condition FOT (free on truck) Monfalcone (GO) – Italian plant with advanced payment. 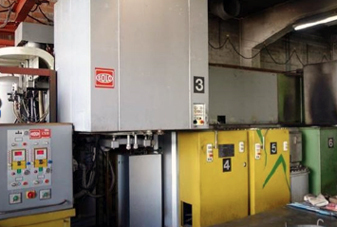 This line started-up in 2002 and in August 2005 we bought it, because the condition of this furnace was excellent and also because with the specific lock quenching feeding system we could have a perfect atmosphere inside the furnace with limited endogas consumption. 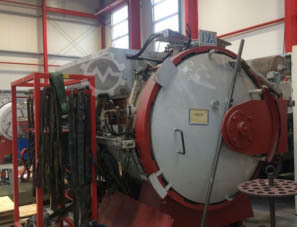 The delivery is 30 days after receiving the money at our bank, because the furnace is ready for sea transportation – see pictures. Please check if every detail is clear and if you can be interested. We are at your disposal for any additional questions. 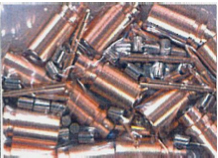 VANS, MOTORS, VALVES, HEATING ELEMENTS, TC ETC. 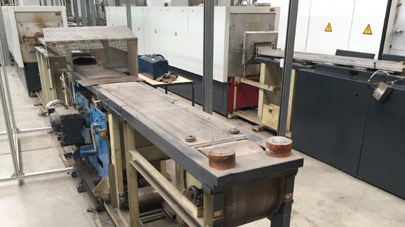 LIFTING TABLES, ROLLING TABLES ETC. OUR OFFER IS WITHOUT OBLIGATION, ERROR AND INTERMEDIATE SALES RESERVED. Speed of belt : 2,2 – 89 cm/min. Control panel : 220 V/50 Hz. Motors : 3x 380 V/50 Hz. 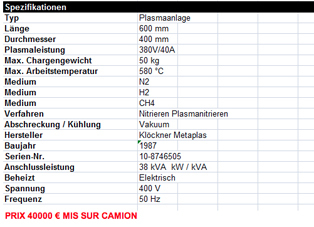 SALES PRICE : € 9.900,- + MWST. 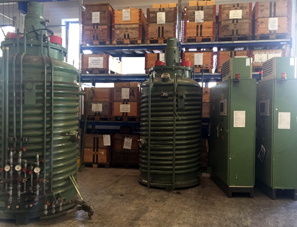 Last year we changed our Endogas generator and now we have FOR SALE our old HOLCROFT Endogas generators. Payment is in advance and delivery is 10 days after receiving the money into our bank account. Please take note that we want to sell all the 3 sets of generators as a package, so together and not separately. 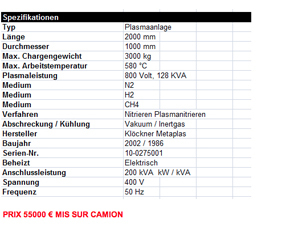 Please check if every detail is clear and if you are interested in these generators send us your best offer. 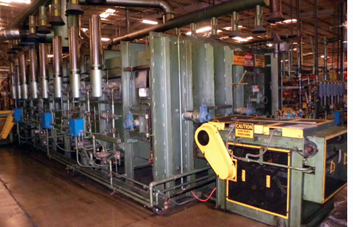 The Furnace is gas heated, 4 Burners with indirect heating using radiant tubes and aircirculation. 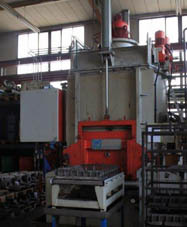 The Furnace is make in 1997 and is in goood condition. 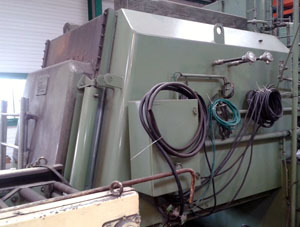 Salesprice € 39.500,- + VAT. (2) GAS FIRED RECUPERATED RADIANT TUBES. HEAT FOR THE SALT QUENCH TANK IS BY ELECTRIC HEATERS. FURNACE WAS IN OPERATION UNTIL MARCH 2015. A ROOF MOUNTED FAN CIRCULATES HEAT AND ATMOSPHERE THROUGHOUT THE LOAD. 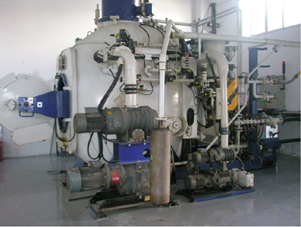 DOUBLE WALL WATER COOLED HORIZONTAL LOAD VESSEL. ROOF AND FLOOR. 20 HP COOLING FAN MOUNTED IN REAR. WITH ROOTS BOOSTER. POWER TO THE HEATING ELEMENTS IS THROUGH VRT'S. A BATTERY POWERED LOADER IS INCLUDED. Elekcr. Motors : 3x 380 V/50 Hz. SALESPRICE : € 45.000,- + VAT. 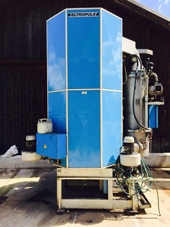 Cooling water consumption: 170 liters / min. 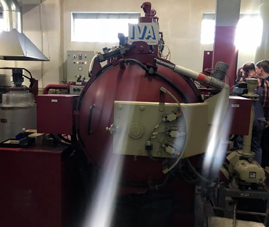 This is a horizontal graphite vacuum debinding sintering furnace for steel MIM parts completely rebuilt from top to bottom by AVS in 2010. 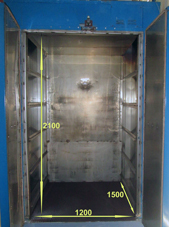 Working volume – approximately 18 cubic feet, 28” wide x 26” high x 42” long graphite retort, 1500# capacity. 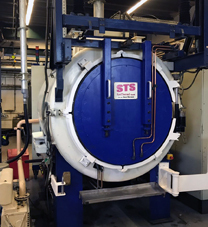 Temperature - rated for continuous operation at 1400°C ±10°C in vacuum, 1450°C burn-out. 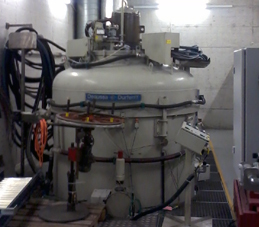 50µ ultimate vacuum; leak rate <10µ / hour, CEDORT (Clean, Empty, Dry, Outgassed, Room Temperature). 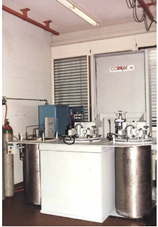 De-bind system - nitrogen or argon sweep gas, 0 - 100 torr differential pressure controlled by PLC and automatic I-to-P modulating vacuum valve, binder trap, condenser assembly; options available for hydrogen gas and burn-off. De-bind lines heated to keep vapor from condensing in vacuum lines. Fast cooling with circulation fan and automatic gas re-circulation ports. Control system - AVS ACE™ control/data acquisition system. Estimated cold-to-cold cycle time of 16 to 20 hours with AVS “Fast Cool” option. 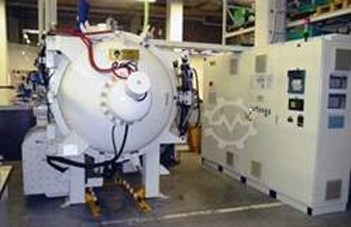 Horizontal jacketed chamber - 60" dia. x 80" long, nominal dimensions, flanged, on legs. 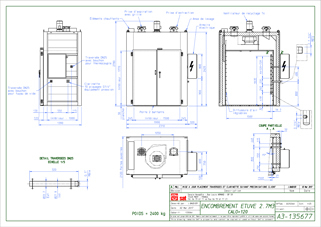 SA-516-70 mild steel construction on water jackets and door + body flanges. 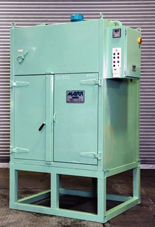 Stainless Steel inner jacket & dished head plus all power ports Front-loading chamber with 2 doors - both doors on adjustable hinges, with buna o-rings, manual clamps, for operation from 50 millitorr vacuum to 3 psig positive pressure; rear door opens for service. Ports - rough line on side of chamber, delube line from bottom, fan housing flange on rear door Additional PORTS added to the system to accommodate future system modifications for processing ‘sinter-hard’ P/M materials – a total of up to 7 additional ports ranging from 18” in diameter down to 1” in diameter will be added. Further details available upon request. Currently installed and in excellent condition. Asking $209,000 USD. 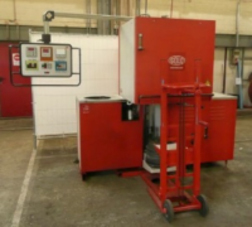 This system is ideal for any company wanting to develop process for diffusion bonding of any materials which are capable of being processed within the specifications of the furnace. 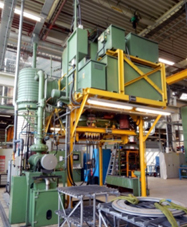 The system is available as a batch or semi­continuous, as the system can be set up in Batch mode for development purposes and semi continuous mode for production. The system is available for inspection as warehoused in the Northeastern USA. New Price for this system is over USD $16,000,000. This system is available in almost any configuration. As is $490,000.00 cash and carry with support available from the original manufacturer at a reduced rate, or reconfigured to match your specific requirement at a price TBD. incl. chimneys, fans, parking areas for boxes, documentations and also 1 pcs. shuttle to load/ unload the boxes. All machines are in working conditions and immediately available. In the attachment you will find some pictures. Please contact us for more informations. Thank you! Ce matériel en état de marche a été démonté fin 2014, mis en place mais non branché. 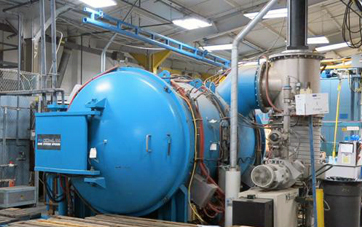 Vac Aero vacuum furnace out of an aerospace manufacturing co. that was doing nickle brazing and heat treating. Unit has approx. 10 years of use. All new heating lanthanted moly elements. Proposta no. CF-2651 REV. 2 PRX / E- 4018 OPÇÃO 1- PRX – 2005. 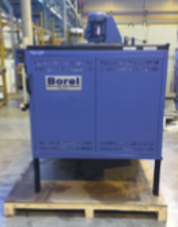 Puissance 65 KW, tension 400V, Température maxi 750°c. 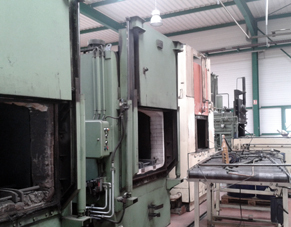 Dimensions utiles largeur 2500 mm, profondeur 2000 mm, hauteur 2000mm. This material comes from a Swiss Watchmaking Company. IT has very little used ... 500 Hours !!! Ce matériel issu d'une Société Horlogère Suisse. IL a très peu servi...500 Heures!!! 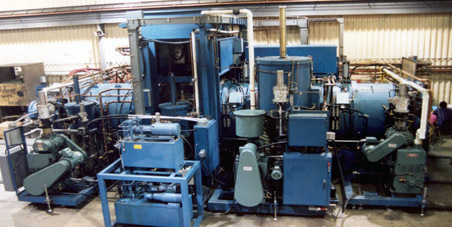 TEMPERATURE RANGE: 1400 Degrees F.
DESCRIPTION: Horizontal Loading Aluminum Brazing Vacuum Furnace complete with (10) Zones of Control, Stokes 412 Mechanical Vacuum Pump, Stokes 615 Booster Pump, Varian Diffusion Pump (32"), Alloy Internals, VRT Transformers, Single Swing-Out Front Door, Marley Water Cooling System, and Welch "Holding" Pump. INSTRUMENTATION: Free-Standing Control Panel with Honeywell Digital Programmable Temperature Controller, LFE Setpoint Programmer, LFE High Limits, Televac Vacuum Gauges, and 10 Amperage Meters. OVERALL DIMENSIONS: 12' Wide x 10' Deep x 11' High APPROX. WEIGHT: 25,000 lbs. NOTE: ALL EQUIPMENT IS QUOTED ON AN "AS IS" BASIS, F.O.B. TRUCK, POINT OF SHIPMENT ­ AND SUBJECT TO PRIOR SALE. 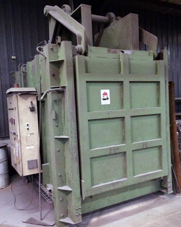 CAR TYPE FURNACE AVAILABLE ­ located in OHIO, USA. 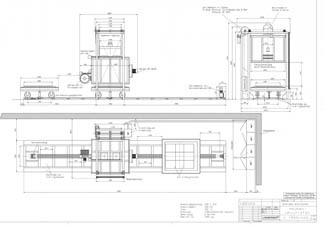 DESCRIPTION: Ceramic Fiber Lined Recirculating Car Bottom "Auto-Tilt" Up Furnace System complete with (3) Top-Mounted Alloy Recirculating Fans, Alloy Air Distribution Shrouds, (3) Zones of Control, Hydraulic Pump for Lifting Cylinders, Powered Car with Cast Deck (60,000 lb. load capacity), and "Knife-Edge" Seal with Sand Seal. 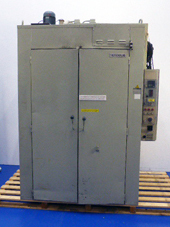 INSTRUMENTATION: Free-Standing Control Panel complete with Yokogawa Digital Temperature Controls (1 per zone). Also included is a large Free-Standing Power Control Panel with SCR Proportional Power Controller per zone. CONDITION: Very Good ­ Operational. 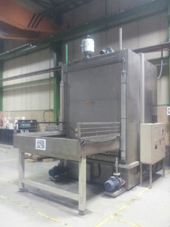 Furnace: 12'7" Wide x 40' Long x 11' High APPROX. WEIGHT: Car: 40,000 lbs. 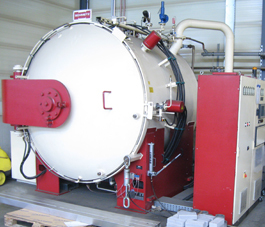 - Furnace: 42,000 lbs. 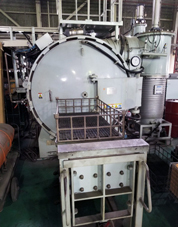 TEMPERATURE RANGE: 1850 Degrees F.
(up to 9" Diameter) with (4) Zones of Control, (2) Row Pusher System in "U" Shape where Alloy Trays stay continuously inside furnace, Radiant "U" Tube Fired, complete with Fanuc Robot Loader/Unloader, Oil Press Quench (4 stations), Air Cooled Oil, Inline Belt Washer/Tempering Furnace, and All Alloy Loading Trays. Many Spare Parts including (6) New Cast Alloy U-Tubes. 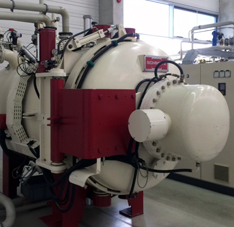 Also included is a 3000 CFH Endothermic Generator ­ (Air-Cooled). INSTRUMENTATION: Free-Standing Control Panels complete with Honeywell Digital Controls. 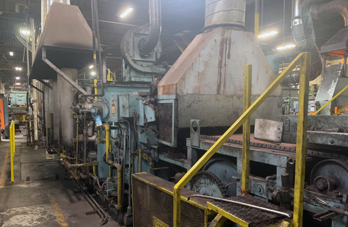 CONDITION: Excellent ­ "Slightly Used"
OVERALL DIMENSIONS: Furnace: 12' Wide x 32' Long x 11' High (less pusher mechanisms) ­ Furnace ships in (3) sections. Belt Wash/Temper: 10' Wide x 40' Long x 10' High APPROX. WEIGHT: 100,000 lbs. 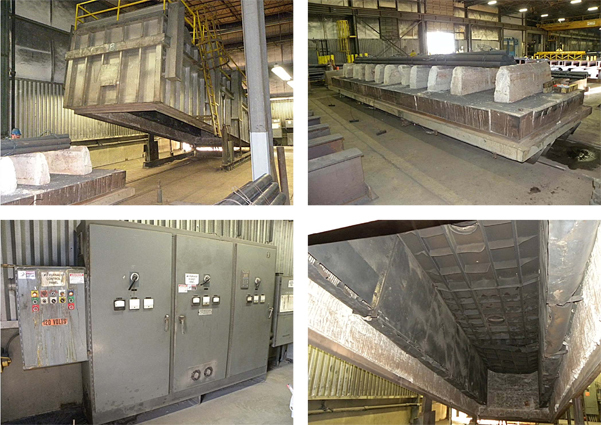 Overall the furnace is in very good condition, but it needs a new cooling tower. Delivered with the manufacturer's instruction manual. Electric panel: new!, with sensors updated in 2010! Loading: manual loading, with automatic extraction. Modality of construction: The heating chamber is above, and the quench bath is below the loading plane. Electric panel: to be refurbished! Loading: manual loading and unloading. Electric panel: old but working! 1 horno de austenitización para temple aceite y cementación, tamaño T 7. - Dimensiones cámara interior: 760 x 1220 x 510 mm, carga máxima 600 kg . - Calentamiento gas natural vía 12 quemadores y tubos radiantes. - Cámara interior renovada y turbina de mezcla de atmosfera. - 1 autómata Omron para entrar en los programas y controlar los movimientos. - 1 regulador de temperatura y atmosfera EUROTHERM. 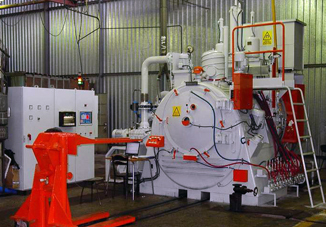 1 horno de revenido IPSEN de calentamiento gas de las mismas dimensiones. Muy sencilla, con agitación de agua en la cuba. almacenamiento + conjunto de utillajes (cestas + utillajes tipo mecano). APLITEC - Aplicaciones Termotécnicas, S.L. Es del 2001, tiene 2 cámaras, es capaz de templar en gas y/o en aceite. · External dimensions ; 600x590x715 mm. · Internal dimensions ; 200x150x230 mm. · Weight ; 72 kg. 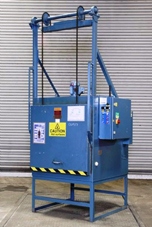 The furnace is equipped with an electric trolley that moves along rails built into the floor. 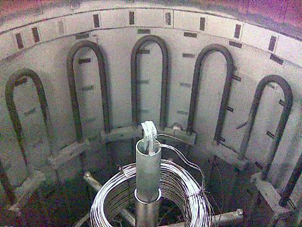 type azote (N2) + hydrogène (H2) à une température de travail de 280°C à 650°C. L'installation est équipée d'un châssis métallique sur lequel sont fixés 2 pots. stations de refroidissement (fonctionnement semi-automatique). Une pompe à vide primaire évacue l'air avant l'introduction de l'atmosphère de protection. Pièces décolletées en bronze et en laiton. C'est un four de à paroi froide avec refroidissement par eau. La porte, les joints de porte et l'arbre de turbine sont également refroidis par eau. Chauffage par résistances électriques disposées à l'exterieur de l'enceinte étanche. Refroidissement accéléré en fin de traitement par moto-ventilateur centrifuge distribuant de l'air frais sur l'exterieur de la chambre de chauffe. Les gaz utilisés sont l'ammoniac, le diazote et sur un des deux le protoxyde d'azote (Alnat). Leur régulation se fait par des régulateurs à flotteur. Les fours sont équipés de régulateur PID (4 programmes de 16 segments) mais pas d'enregistreur. Ces fours ne sont plus utilisés depuis le début de l'année, ils ne sont d'ailleurs plus connectés ni au réseau électrique ni au réseau de fluide Nous avons les schéma électrique mais pas les plans. Au sol ces fours font 1m80 x 3m50 et la hauteur est de 2m40. Le mat et les paniers sont fournis. Electric panel: new!, with sensors updated in 2013! Status: new resistors, perfectly working. Machine DV2500 N°26032 année 2000.